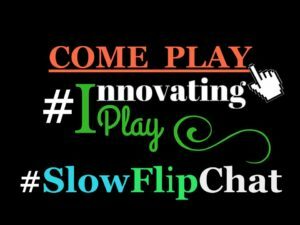 ISTE is taking place in Chicago this year in just a few weeks! Alice Keeler, Lisa Dabbs, and I will be driving across the country, starting in Los Angeles. Our journey begins June 14th and our arrival will be on June 23rd. 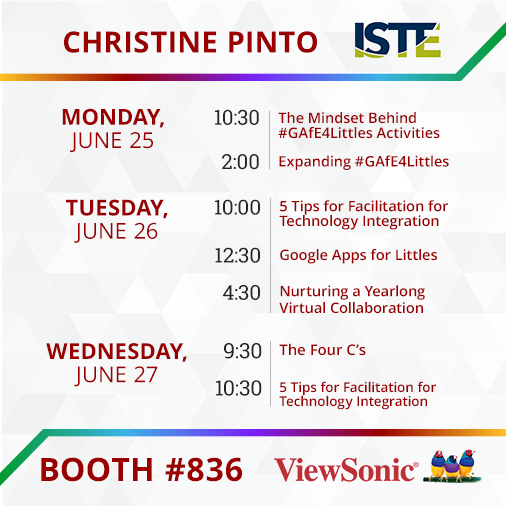 We will be present at some schools and have Coffee EDUs along the way, and can be found in the ViewSonic booth (836) presenting during ISTE! 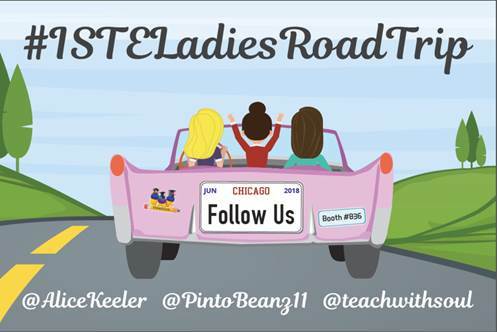 Follow us on Twitter (@alicekeeler, @teachwithsoul, @pintobeanz11, @ViewSonicEDU_us) and our journey on Twitter via the hashtag #ISTELadiesRoadTrip! Curious of the places we will pass through? Check out the map below! 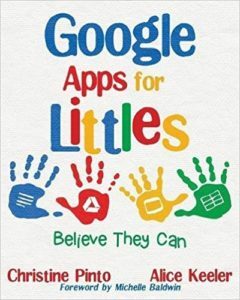 This entry was posted in events by Christine Pinto. Bookmark the permalink.